BrisDoc independent GPs are rewarded with competitive hourly pay, enhanced rates available on specific shifts and regular monthly payments. Get involved in clinical governance and audit. Train as a Clinical Supervisor for GP trainees. Contribute to innovations in local primary care including our Prime Minister’s Challenge Fund project, working with local GPs and their surgeries. Become a salaried BrisDoc GP working across all our services. BrisDoc GPs have more time with the patient and less admin! Working for BrisDoc you can expect to finish your shift on time. 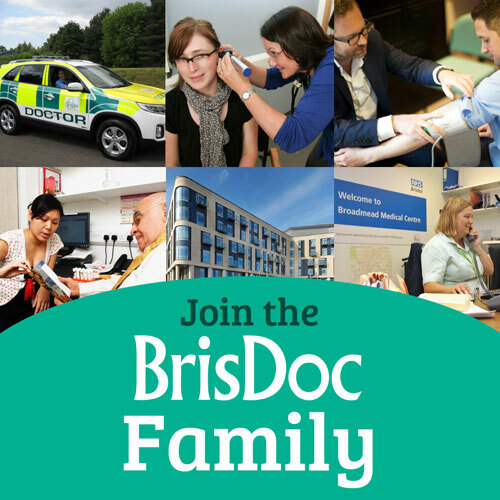 BrisDoc offers a wide range of shifts and hours to help you work around your life and family commitments. You can work in-hours at the BRI, Broadmead Medical Centre and Southmead Hospital. You can also work out of hours at bases across Bristol, North Somerset and South Gloucestershire in a variety of care settings. Broadmead Medical Centre is BrisDoc’s superb, city centre surgery providing a different model of general practice and walk-in service. Highly valued by our patients and regulators alike. This is an exciting opportunity for clinicians to try something new by working in our innovative services at the Primary / Secondary Care interface. At the Bristol Royal Infirmary & Southmead Hospital, BrisDoc GPs work with hospital colleagues to provide access to the most appropriate care pathways for acutely unwell patients. Our BrisDoc out of hours team offer first class support to help you focus on your clinical role and provide the highest quality of care. Senior medical co-ordinators to assist you with complex patients. Friendly and professional Drivers to chauffeur you to visits, assist with admin tasks and re-stock the car at the end of every shift. Northville Family Practice is BrisDoc’s in hours GP surgery based in South Gloucestershire. 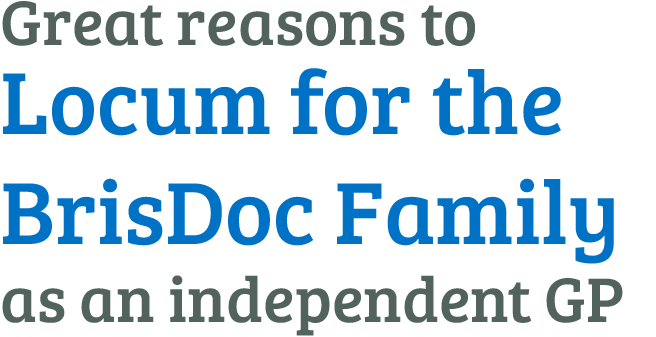 We believe you will enjoy locuming with us as part of the BrisDoc family. We strive to continuously improve the working environment and your satisfaction. BrisDoc welcomes any suggestions on how we can improve patient care and your experience. BrisDoc opens the door to an exciting and diverse range of Primary Care opportunities!